I’m really excited to be teaching again! Starting April 2 and 4, 2019, I’m teaching two sections of the popular “Introduction to Data Science” course for UCLA Extension. In a previous life I taught at UNEX for 15 years, but after getting too busy as a data scientist, I had to walk away from teaching for a while. I’m happy to be returning to education now. I feel the time is right to get future data scientists up to speed to fill in the widening skills gap due to the accelerating rise in demand for data science professionals. Glad to be giving back! I was very pleased to attend the GPU Technology Conference 2017 as the guest of host company NVIDIA on May 8-11 in Silicon Valley. This was my second GTC as I became acquainted with the GPU (graphics processing unit) universe last year while attending the conference. You can read my 2016 field report HERE. I was so impressed with NVIDIA last year, I assumed it was just an outlier and that this year the company would come back down to earth. I was wrong. I was equally impressed with what I saw at this year’s installment terms of how GPUs and NVIDIA are transforming the field of AI and deep learning. This Field Report chronicles what I saw and I’m delighted to share my experience! 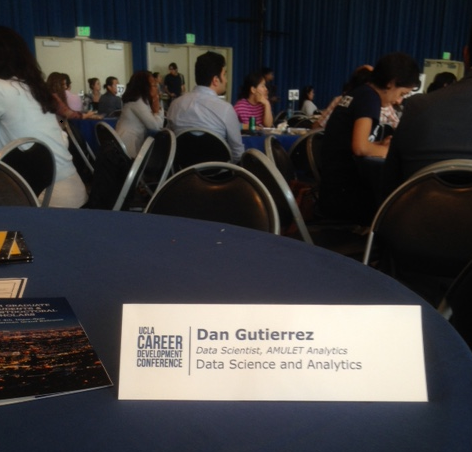 I was pleased to be invited as an advisor for a full-day UCLA Career Development Conference for Graduate Students and Postdocs on May 4, 2017 on the beautiful UCLA campus. My topic of expertise: Data Science. 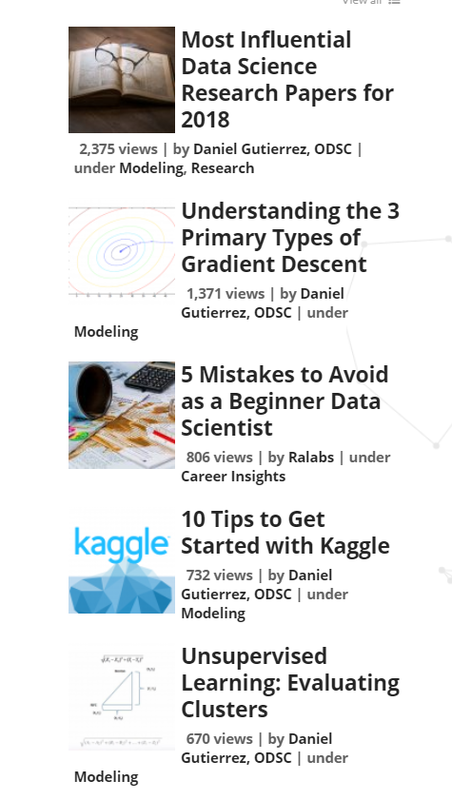 It appears that many newly graduated Masters and Ph.D. students, as well as post doctoral researchers are interested in making the transition to the field of data science. During the round table discussions, I had the opportunity to meet with and advise many bright young minds, all of whom would make excellent data scientists. They came from a diverse set of academic disciplines including statistics, neurosciences, engineering, bio statistics, psychology just to name a few. I truly enjoy these opportunities to share my experiences in the field which I believe is the best profession around! 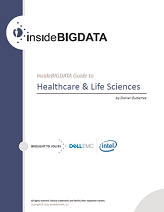 I’m excited to announce the availability of a new technology guide that I was contracted to research, develop and write – “insideBIGDATA Guide to Healthcare & Life Sciences” sponsored by Dell EMC. The healthcare and life sciences industries historically have generated vast amounts of data. These large volumes of data hold the promise of supporting a wide range of medical and healthcare tasks, including clinical analytics and decision support, patient profiling, disease surveillance, regulatory and compliance requirements, scientific research, and many others. Data in healthcare and life sciences is expected to grow exponentially in the coming years and will be beyond the capability of the traditional methods of data management and data analytics. This new guide details this upward trajectory for enterprise thought leaders.